In this guide we show you how to correctly forward a port to a device on your home network. Your Netgear DGN2200 v4 router has a firewall that protects your home network from the ugly of the Internet. A firewall is designed to block connections to and from the Internet with out your permission. To give the firewall permission to allow a port is frequently called a port forward because you are forwarding a port from the Internet directly to a device on your home network. Step 1: Setting up a Static IP Address on the device or game console you want these ports to be forwarded to. Step 2: Logging into your Netgear DGN2200 v4 router interface. Step 3: Find the port forwarding section of your router. Click the Port Forwarding radio button. Step 4: Create a port forward by entering the correct data. These four steps may seem difficult, but we will walk you through each step in order to get your ports forwarded. Time to login to the Netgear DGN2200 v4 router. To do this you need to use a web browser because the Netgear DGN2200 v4 router uses a web interface program to change the settings. It does not matter what web browser you decide to use, simply pick your favorite. Some examples of web browsers are Chrome, Internet Explorer, Edge, and Firefox. As you can see in the image above, the address bar has the IP Address of 192.168.0.1 in it. All you need to do is erase what is in this address bar and replace it with the router's IP Address. If you are having trouble finding the IP Address try looking for the computer's default gateway (this is the same thing). If you have changed the router's IP Address and have forgotten or lost it, we can help you find it with our How To Find Your Router's IP Address guide. You are almost logged in if you see a box asking for your username and password. 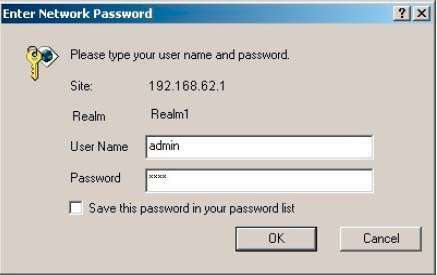 Enter your username and password, and then click the OK button to log in to your Netgear DGN2200 v4 router. The first thing you should try is other default Netgear passwords. Sometimes a router manufacturer gives a new firmware a new password and this can cause a lot of confusion. Here is a list of the Default Netgear Router Passwords. If that did not work then we recommend trying to crack the password. We have a Find Password App that automates the process of guessing your password. This is completely safe and only works on your home network, it can not be used remotely. Finally, if nothing else works, it might be time to consider a reset. A router reset erases ALL settings you have changed and should only be done if you have exhausted other troubleshooting options. Learn how to reset a router in this How to Reset a Router guide. First, click the Advanced tab at the top of the page. The whole look of the page changes. Look in the left sidebar and click the option of Advanced Setup. Under that, select the new option of Port Forwarding/Port Triggering. You should now see a page like the one above. Fill in the radio button labeled Port Forwarding. Then select the Add Custom Service option near the bottom of the page. Select the required protocol for these ports from the Service Type dropdown box. Enter the IP address to forward these ports to into the Internal IP Address box. If you are forwarding ports so you can run a program on a device other than your computer then you can enter your device's IP address into that box. It is always a good idea to check those forwarded ports to see if the Netgear DGN2200 v4 router did it correctly. In order to test those forwarded ports we recommend using our Open Port Checker located in our Free trial of our Network Utilities. Our open port checker is the only one online that has Guaranteed Results. How to Setup your router.